Lung cancer. 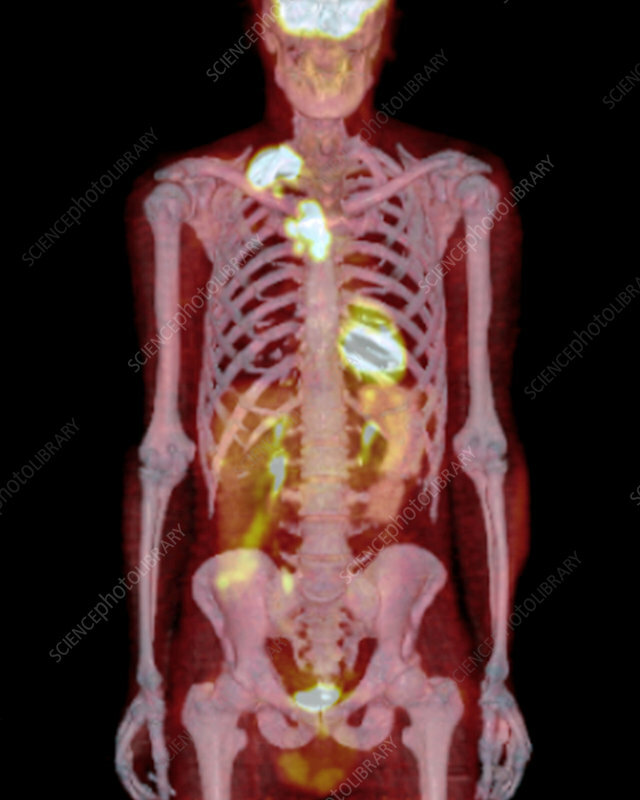 Coloured combined frontal positron emission tomography (PET) and 3D computed tomography (CT) scan of a section through the body of a 45-year-old male patient with large cell neuroendocrine carcinoma (LCNEC) of the upper lobe of the right lung and affecting the right supraclavicular lymph node. LCNEC is a highly malignant (cancerous) tumour (neoplasm) arising from epithelial cells in the pulmonary system.